A music geek in my mid-30s, I was blown away when I came across the throbbing, otherworldly ‘little symphonies’ within the Back to Mono box in the early 00s. Since then I’ve treasured Phil Spector’s wall of sound, eventually branching out into exploring the wealth of soundalike records that follow his path. I’ve looked high and low for a place online that offered personal musings on this type of music. The Spectropop message board used to feature a lot of interesting discussions but it has since sadly gone quiet. Apart from the odd threads on online forums or Facebook pages there doesn’t seem to be an online site that consistently offers in-depth writing on Spector’s forays in the studio and music borne out of his approach. I hope to fill that gap with my blog. I’m no über Spector-expert like Phil Chapman, Mick Patrick or Kingsley Abbott, but I know what I like and have my opinions. I’ll try my best to let them form this blog. Comments, feedback & ideas for topics highly welcomed! 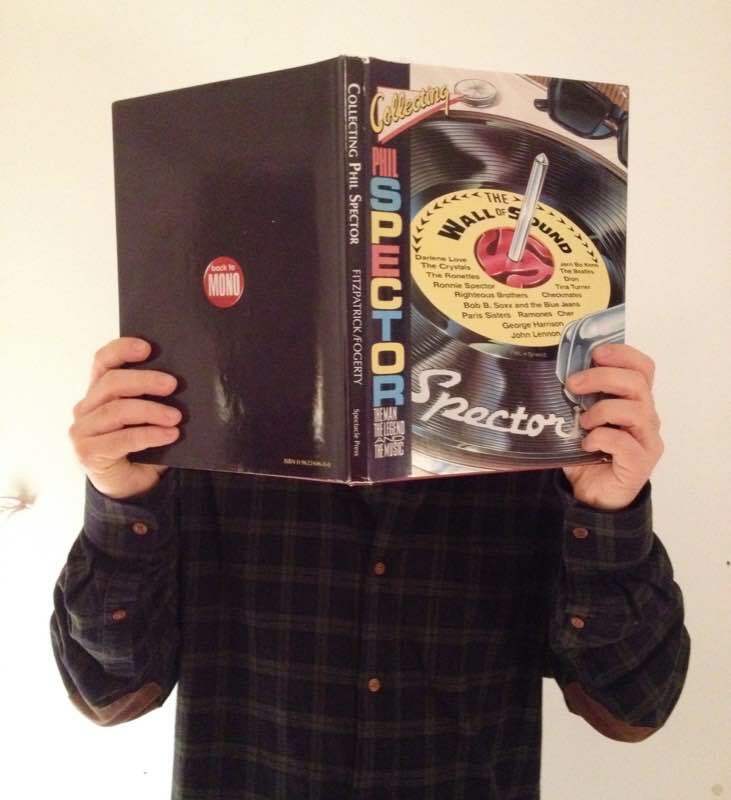 A blog on the Spector Sound is always welcomed. Just wanted to tell you that I have all the Philately issues. I can send you a photocopy of N°5. Fantastic! Thank you Frank. I’ll send you a private message. I used to run PSAS Its wonderful that you are starting it all up again.best of luck. PAUL DUNFORD.. Thank you for the kind words, Paul. I’ve just found your blog…excellent stuff here. i think you may have cost me at least three CDs I need to get already! Nice to see a couple of my favourite Scottish bands featured. Thank you Brian – much appreciated. I hope you’ll keep checking in here! Thanks Marc. I’ve seen the group name spelled both ways. Corrected now. Love the site and posts… maybe this might be the subject of a future posting…. the sax solo in Darlene Love’s Christmas (Baby Please Come Home) and A Fine Fine Boy appear to be the same – creative editing? Thanks Steve. I haven’t noticed the identical sax solos. Will have to check. Maybe Steve Douglas was just lazy on one of the sessions and decided to imitate himself? Could be… but I think Phil overdubbed one or the other, albeit there is a slight speed variation. In a lot of ways they are “sister” songs in that they came from Jeff and Ellie and were both written and recorded at roughly the same time. Hi Paul. Thank you for your comment. Yes, I do have these issues now. Very interesting reading material for any fan of the Spector sound. I came onto this site hoping it might be some sort of fan club that I could join. What I really would like to do is to get hold of a list/schedule of every record Phil was involved with. is that possible, can someone tell me, please? Hi Tony. I’d advise you to seek out the various books on Spector. More often than not, they have a discography at the end. Almost all of them have a few mistakes, but the more books you attain, the clearer the picture of his releases, you’ll get. Hi Barry. Glad to have stop by here. As a matter of fact, I still don’t have the PSAS newsletters from 1982 and until the start of Philately. If you have these, and would be willing to photocopy them for me, I’d really appreciate it. You can contact me privately via the contact adress above in the blog’s ‘About’ section.